As I mentioned previously, I am fortunate to be heading to the Southern African Foundation for the Conservation of Coastal Birds, or SANCCOB for short, in Cape Town, South Africa. This is all thanks to the New England Aquarium and the John H. Cunningham Award. The Cunningham Award gives tenured Aquarium employees the opportunity to explore a project or topic that will enhance their professional development. Each year proposals are submitted and are thoroughly reviewed. Past winners have worked with sea dragons in Australia, went SCUBA diving with whale sharks in Honduras, and have travelled to the Bering Sea to study Northern fur seals. This year’s frontrunners were Jo Blasi and myself. Our proposals were similar but had very different goals. Jo goals were to come South Africa and learn more about wild African penguins. Mine was to offer my years of penguin experience to African penguin rehabbers and researchers. This once in a lifetime experience begins for us at SANCCOB. SANCCOB has a long history of rescuing and rehabbing all types of troubled seabirds in this region. They were very pivotal during the Treasure oil spill in June of 2000. About 40,000 African penguins were affected by that event. It took several months, but SANCCOB helped save close to 90 percent of those birds. A decade later, SANCCOB still continues the difficult fight. 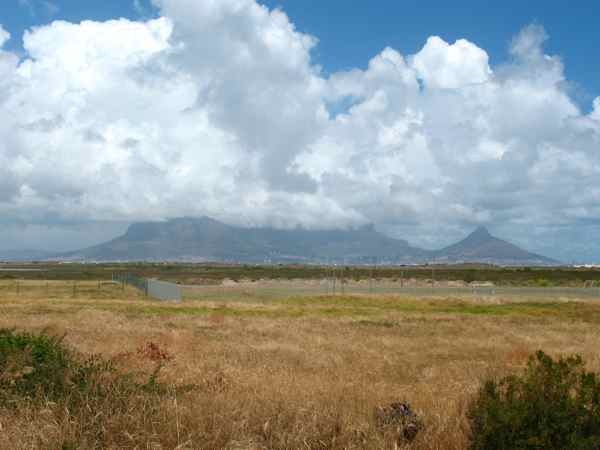 The rehab center is situated just outside of the city, in a neighborhood called Table View. Can you see why this neighborhood is called Table View? It’s taken a day for us to get over our jet lag and adjust to this new place. After a supply run and walk around the city, we think we’re ready. Tomorrow will be our first day of volunteering and neither of us knows what’s in store. As Paul mentioned, he is not the only Aquarium staffer in South Africa right now. 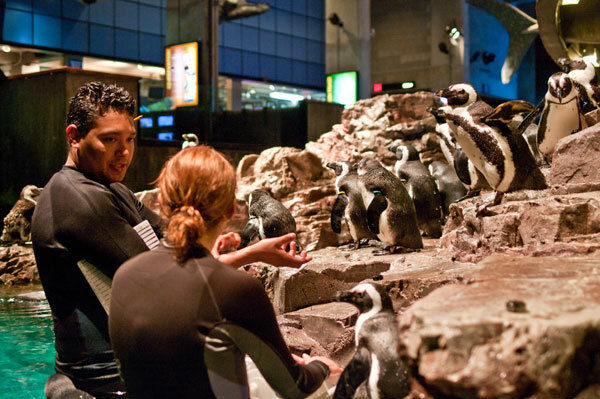 Aquarium educator Jo Blasi is also heading into the opposite season to study and care for African penguins in the Southern Hemisphere! Read about her experiences on the Global Explorers Blog. Hi Paul! What a neat gig ! I'm so glad you got to go on this adventure that you told Jessica and me about in March! How long will you be there?